Twilight "mistakes". Maybe that will open up a few peoples' eyes a little bit.... Wallpaper and background images in the Гарри Поттер против Сумерек club tagged: twilight stephenie meyer mistakes grammar punctuation book elipse new moon breaking dawn. Someone already added this. 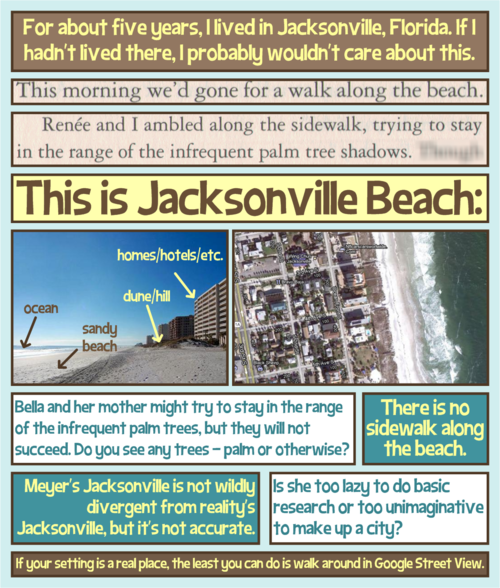 My response was that they never said they were in Jacksonville Beach. They were on a beahc in Jacksonville. 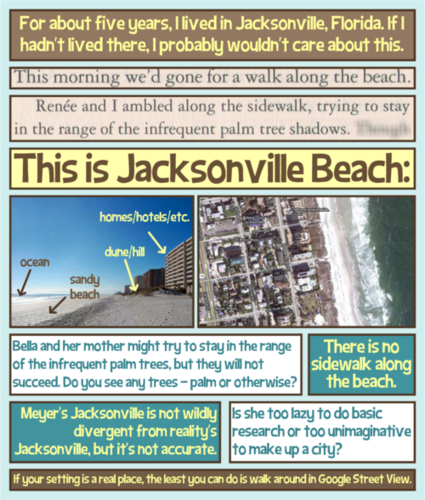 There are multiple beaches in Jacksonville. Honestly, someone who's lived in Jacksonville for five years should know this. Maybe she should have opened her eyes a little bit.